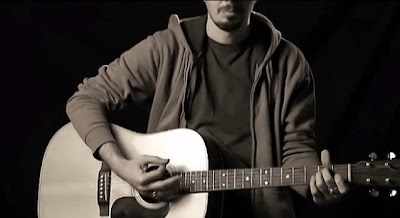 Still frame from the Iranian music video commemorating the first 100 days of President Hassan Rouhani's administration. 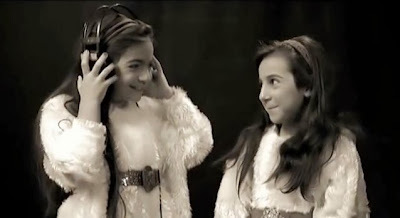 Riding the high of signing a breakthrough diplomatic accord with six world powers over its nuclear program after barely 100 days in office, just as he promised he would do during his remarkably successful campaign this past Spring, Iranian President Hassan Rouhani is now the subject of a new music video created by his supporters and promoted by the president’s own media team. In the clip, unprecedented for an Iranian president, people of all ages play musical instruments and sing to Rouhani’s words in Persian, but also in the languages of Iran’s minorities, including Kurdish and Arabic [also Balochi and Azeri - NS]. 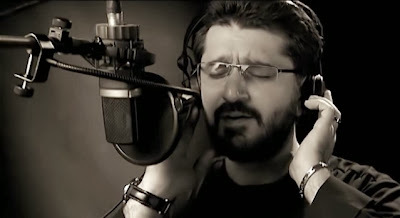 The clip also includes sound bites from prominent figures in Iran’s modern history including Prime Minister Mohammad Mossadegh and the founder of the Islamic Republic Ruhollah Khomeini. 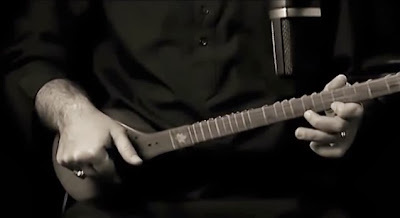 Some featured in the video play acoustic guitar, piano, and cello, in addition to the daf and setar, traditional Persian percussion and stringed instruments, respectively. Mirroring the Obama campaign even more closely is the use of split screens and sign language, although verses from the Qur’an and the poetry of Hafez are also featured. Entitled, Nosafar - translated as "New Voyager," or less literally, "Aspirations" – the four-and-a-half minute video "was an initiative taken by the artists (without the President’s knowledge)," as the filmmakers explain on YouTube, "to immortalize President Rouhani’s emotional speech where he expresses hope for peace, friendship and progress. Only at the later stages was the video shown to President Rouhani." This melodic piece is the first time ever for a chorus to sing along with a formal speech by a prominent Shia cleric and high ranking Iranian politician. 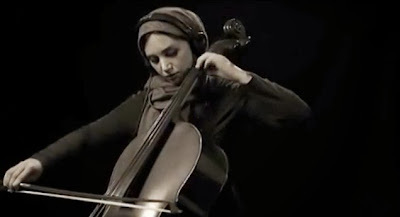 Featuring musical instruments on video and singing by women are prohibited by Iran’s state television. The fact that President Rouhani’s personal website decided to feature this video was a great and notable step to break this taboo and support Iranian artists. 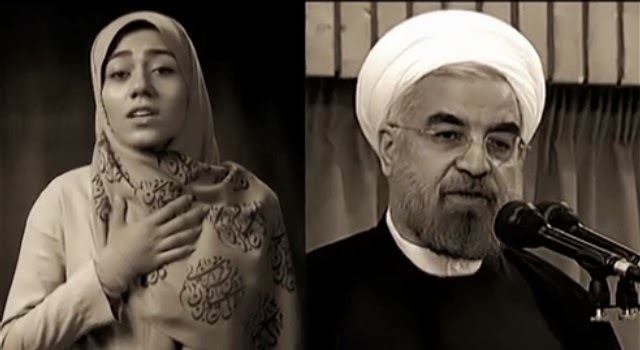 The video begins with Rouhani saying, "Let space and opportunity be given to all Iranians who are devoted to this land. Let those who are competent serve the nation. Let their hearts be cleansed from hatred. Let conciliation replace estrangement. Let this take root," continuing, "Let us have friendship instead of animosity. Let us allow Islam with its compassionate face, Iran with its rational face, the revolution with its humane face, and the establishment, with its affecting face, continue to create epics." 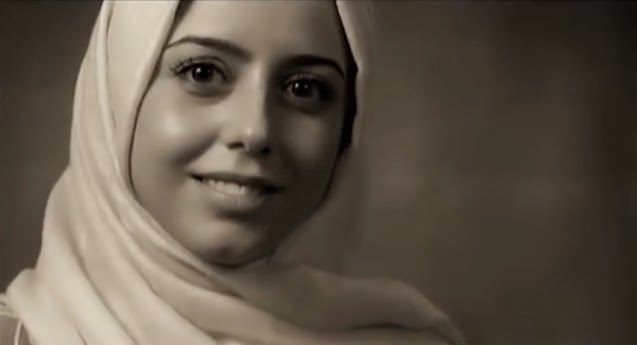 The faces in the video, more than anything else, reveal an Iran greatly at odds with the sinister portrayal all too often seen in the Western mainstream media: an Iran full of hope and humanity, of talent and beauty, of unity and peace. In the wake of the historic agreement just signed in Geneva over the Iranian nuclear program, I had the pleasure of speaking with Scott Horton of AntiWar Radio and the aptly-named Scott Horton Show about what the contours of the interim deal, what it means, and what might follow. In our half-hour chat, Scott and I also discuss the predictable hysterical reactions of Israeli politicians, partisans and lobbyists and address the "the sanctions worked" canard so often heard in the mainstream press. Click here to listen online (and also check out Scott's incredible archive of over 3,000 interviews). As negotiations over Iran's nuclear program continue in Geneva, I was lucky enough to do interview with Steve Rendall for CounterSpin, the weekly radio show of the vital media watchdog group, Fairness and Accuracy in Reporting (FAIR). You can listen to it here. My interview, which follows one with the great Trevor Timm, begins at the 18:35 mark and runs about eight and a half minutes. This week on CounterSpin: Polls show Americans overwhelmingly opposed to the government's mass surveillance programs; they find the unconstitutional spying "alarming" and don't think it's making them safer. There's legislative movement to "reform" surveillance procedures--but is it real reform or windowdressing? We'll hear from Trevor Timm of the Electronic Frontier Foundation. Also on CounterSpin today: Nuclear talks between Iran and six world powers resumed on November 20, after falling apart nearly two weeks earlier. But the US press seems a little confused about why those earlier talks failed. 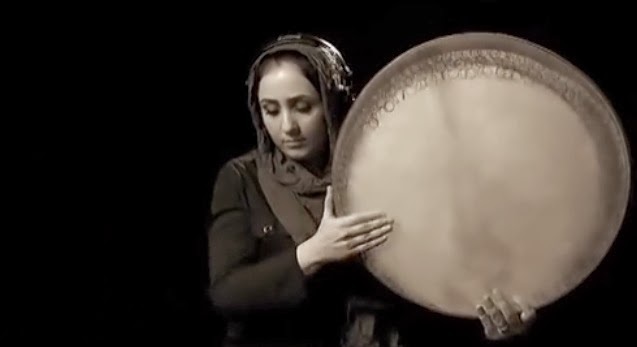 We’ll talk with Nima Shirazi of Wide Asleep in America about that--and about what to watch out for as talks go forward. Covering the absurdity of nuclear negotiations, U.S.-Iran relations and Israeli propaganda, rejectionism and warmongering, requires taking a break now and then. 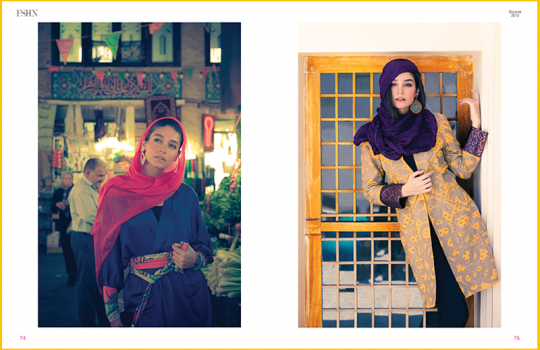 Keep Calm TEHRAN by Ali Narimani. For more on photographer Mandy Tay’s trip to Iran, check out this excellent interview with Azadeh Moaveni in IranWire. In a new piece over at Al-Monitor, Iranian-born Israeli analyst Meir Javedanfar commends the blocking of a preliminary nuclear deal between the P5+1 and Iran by French Foreign Minister Laurent Fabius over the issue of Iran's continuing construction of the Qatran Complex, a heavy water facility near Arak, a city southwest of Tehran. But it is riddled with the factual errors and decontextualized conjecture that have long been a hallmark of Mr. Javedanfar's analysis. This time around, it appears Mr. Javedanfar is a bit confused as to the difference between Iran's two facilities at Arak. One is the IR-40 heavy water research reactor, the other is a heavy water production plant. The half-built reactor is under IAEA safeguards and is visited regularly by inspectors; the production plant is not under safeguards and thus not legally subject to inspections. This is less alarming than it might seem as heavy water is not nuclear material; it merely acts as a moderator in nuclear reactors that use natural uranium rather than enriched uranium. When Mr. Javedanfar, writing clearly about the IR-40 reactor and not the production plant, claims that "the Iranian regime has not allowed the International Atomic Energy Agency (IAEA) to visit the site since 2011" and that the "IAEA has since had to rely on satellite images to assess developments regarding the site," he is simply wrong. That he then states that this "reinforces concern and urgency" demonstrates a distinct lack of clarity on his part as to what risks actually exist or do not exist. What Mr. Javedanfar is actually referring to (though he doesn't seem to know it) is the production plant at Arak, not the reactor. Iran voluntarily allowed IAEA access to the production plant in 2011. 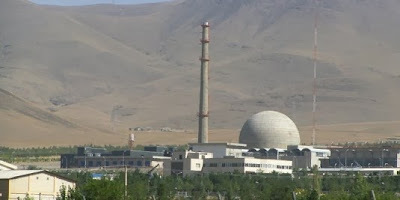 According to the most recent safeguards report, the Arak reactor site however was visited by IAEA monitors on August 7, 2013, who reported that a number of major components, such as "control room equipment, the refuelling machine and reactor cooling pumps" had yet to be installed. Another report will be issued soon, which means inspectors have also been there since. The reactor, which Mr. Javedanfar never mentions is not operational and may not be for another year, is not in itself a proliferation risk. Plutonium is produced as a byproduct of running the reactor, and must be separated out from irradiated fuel and reprocessed to weapons-grade material before it poses any actual danger. Still, Mr. Javedanfar writes that the "Arak heavy water reactor... could produce plutonium to make a bomb while the talks continue," which is misleading and wholly speculative at best, intimating as he does that once the Arak reactor is switched on, weapons-grade plutonium pops out. First, talks are not expected to continue for years to come. With the reactor not yet up and running (it's projected to come online in mid-2014, but will most likely be delayed as it has in the past), the timeframe on Arak is an important factor in determining the potential (and, at this stage, totally hypothetical) risk it poses. By this measure, taken with Mr. Javedanfar's claim, talks would need to continue without progress for at least another year and half, perhaps two years, for Iran to even begin extracting plutonium from spent fuel. That's mid-2015 at the earliest. Plus, Iran can't even reprocess that extracted plutonium into weapons-grade material because it doesn't have the facilities to do so. 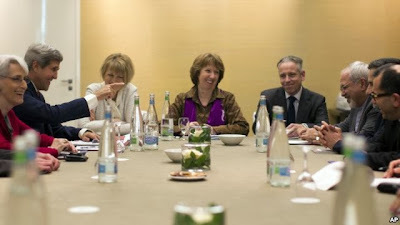 This past weekend, Kimball told The Guardian that, if anything, "Arak represents a long-term proliferation risk not a near-term risk and it can be addressed in the final phase of negotiations," adding, "France and the other... powers would be making a mistake if they hold up an interim deal that addresses more urgent proliferation risks over the final arrangements regarding Arak." Yet Mr. Javedanfar calls the blocking of a preliminary deal by the French "fair and logical." Perhaps if he had a better grasp on the facts about Arak, he would come to a different conclusion. Then again, maybe not. After all, a TIME magazine headline from last month says it all: "If Iran Can Get This Reactor Online, Israel May Not Be Able to Bomb It". That, it would appear, is the real risk for Israel and its analysts. Following a meeting in Tehran between IAEA Director General Yukiya Amano and President of the Atomic Energy Organization of Iran Ali Akbar Salehi, it was agreed that Iran would provide "relevant information and managed access to the Heavy Water Production Plant" at Arak. This is a voluntary, confidence-building measure taken by Iran in an effort "to strengthen their cooperation and dialogue aimed at ensuring the exclusively peaceful nature of Iran's nuclear programme through the resolution of all outstanding issues that have not already been resolved by the IAEA." The above piece contains excerpts of another post on the current diplomatic impasse over Iran's nuclear program, which I hope to have posted later today. November 14, 2013 - In a recent interview with The Real News Network, nuclear expert Robert Kelley debunked a number of common myths associated with the Iranian nuclear program, including about the Arak facility. Mr. Kelley is a veteran of over 35 years in the US Department of Energy nuclear weapons complex, most recently at Los Alamos. He worked in research and engineering before turning to information analysis in the 1980s. He managed the centrifuge and plutonium metallurgy programs at Lawrence Livermore National Laboratory and later was Director of the Department of Energy Remote Sensing Laboratory, the premier US nuclear emergency response organization. He was also seconded by the USDOE to the IAEA where he served twice as a Director of the nuclear inspections in Iraq in 1992 and again in 2001. 34 years ago this week - on November 4, 1979 to be precise - Iranian students seized control of the American Embassy in Tehran. Y'know, just like in Argo! Except not at all. Sigh. Below are two reports from NBC Nightly News, one from the day the embassy was taken, the other from a year later, broadcast exactly 33 years ago today. 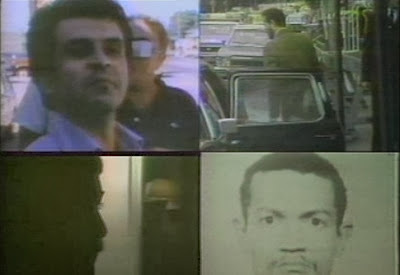 The second report, entitled "Iran's American Battleground," is a classic, pitting members of the California-based "Iran Free Army," described as "Iranian terrorists who oppose Khomeini" and "professional soldiers" and SAVAK agents of the deposed Shah's regime "determined to seek revenge against those who put them out of power" against American "Black Muslims" like Daoud Salahuddin, who, reporter Brian Ross claims, have ties to the pro-revolution Diaspora Iranians and are "promised safe havens in Iran for terrorist acts in this country." "Authorities say both sides have brought a brand of Mideast terrorism to this country, well-financed, well-armed, with little regard for American law," the report declares and ending with a shadowy ex-member of the "Free Iran Army" telling NBC News, "For terrorism of Middle East, America is a paradise," words the U.S. press have lived by and politicians have exploited ever since. This weekend, I again had the pleasure of speaking with Scott Horton of AntiWar Radio and the aptly-named Scott Horton Show about disinformation often found in mainstream journalism on the Iranian nuclear program. Focusing mainly on my recent article, "Propaganda & Ignorance in Reporting on Iran," published originally by Muftah.org (where I am actually co-editor of the Iran, Iraq, and Turkey pages - and not only a contributing writer, as Scott says), we also discussed career alarmist David Albright's full time job creating hysteria about Iran's nuclear program, and 30 years of erroneous claims that Iran is "on the verge" of a nuclear weapon. There is also an extended RoboCop reference in there somewhere, which makes the entire half-hour chat well worth a listen. 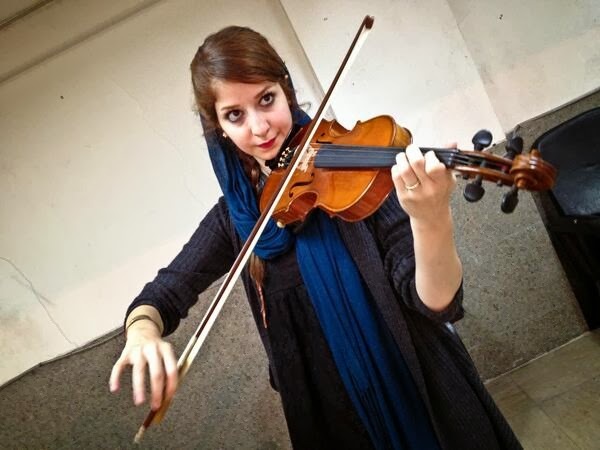 Nastaran Ghaffari, 22, is one of the many subjects of ABC News correspondent Muhammad Lila’s #FacesOfIran photo series during his current trip to Iran. 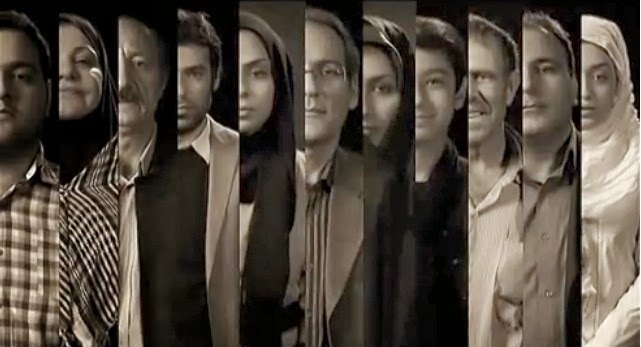 It is no surprise that our media environment is saturated with reports of efforts by hawkish lobbying groups, former administration officials, Congress members, and even foreign governments to disrupt and undermine even the nascent possibility of genuine diplomatic progress through new sanctions and war resolutions, and routinely dehumanizing and negative language used to describe anyone and anything connected to the Islamic Republic of Iran. As a result, misleading and misinformed journalism abounds. Nevertheless, two reporters from two major media outlets are actively doing their best to break this trend. I have written before of CNN correspondent Reza Sayah, whose recent reporting from Iran has given voice to the Iranian people themselves and introduced a Western audience to a dynamic and diverse nation that does not conform to the tropes and tautologies all too often presented by the media. In his latest dispatch, Sayah speaks with Dan Gaspar, assistant coach for the World Cup-bound Iranian national soccer team. 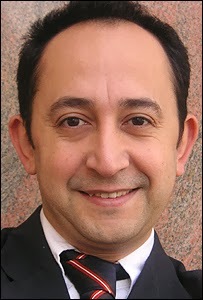 Gaspar, an American citizen of Portuguese descent, has lived and worked in Iran since 2011. When he was offered the job and told his wife of his plans, Gaspar reveals, “She was shocked, she was concerned, as most of my friends and family members were.” To his credit, Gaspar was undeterred. 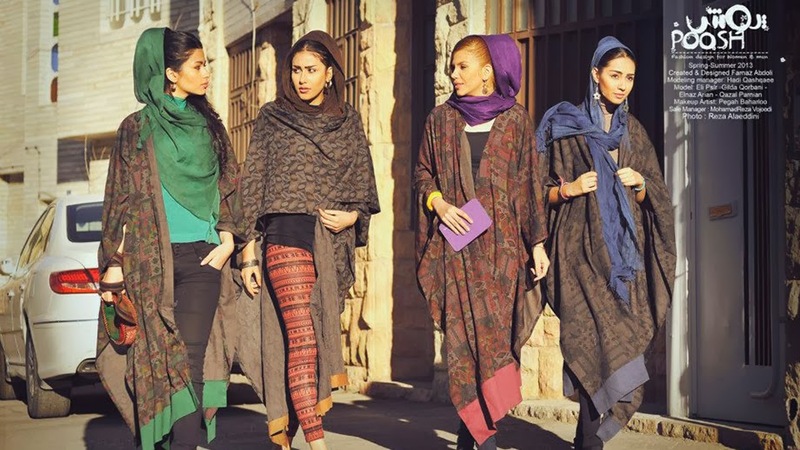 Meanwhile, ABC News foreign correspondent Muhammad Lila is also in Iran, traveling around the country and posting beautiful photos and personal observations from his trip on a live blog dubbed "Inside Iran." 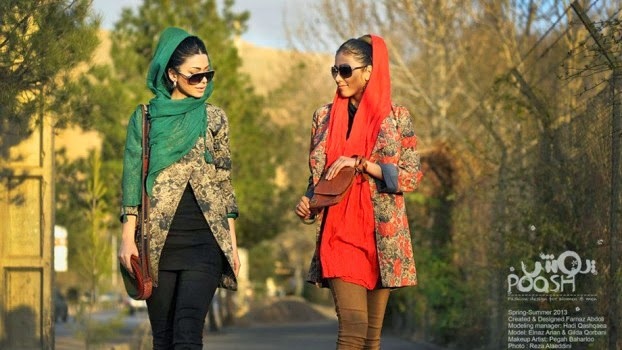 His photos, which he has also been posting on Twitter, are reminiscent of those taken by "Humans of New York" photographer Brandon Stanton last winter during a two-week trip to Iran. Through Lila's camera lens, in a series Lila hashtags as #FacesOfIran, we meet the everyday Iranians - students, activists, widows, artists, children - who are almost invariably absent from reporting on Iran. We see knockoff fast food chains, get stuck in Tehran's infamous traffic, and get short and touching glimpses of hope and love. Lila's photography has been well received in the Twittersphere. His pictures are "[b]ased on simple premise," he explains, "Everyone has a story. 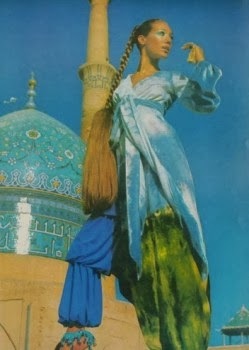 You just have to look for it #InsideIran". Some of Lila's revelations will surely surprise his Western audience, whether about Iranian street art etiquette or the fact that young Iranians are all on Facebook. In a discussion with young engineering students, Lila asked, "Do you really think you're free in Iran?" They replied, "Depends what you consider freedom. What you have in America isn't freedom." When Lila responded that "we can think, be, and do whatever we want," they were quick to fire back: "So can we." Lila later noted, "Of the dozens of ordinary Iranians we've spoken to, none of them said they're unhappy and want to leave the country." At the massive Friday prayer service in Tehran, Lila spoke with a cleric who made clear to him that Iranians harbor no ill will toward the American people. "It's America's war-mongering we want to stop," he said. Below are the photos he has taken so far. Follow him on Twitter for more to come.